With the weather turning the landscapers are getting in to gear. To replace an older unit one of our customers had us design and build an updated replacement unit. 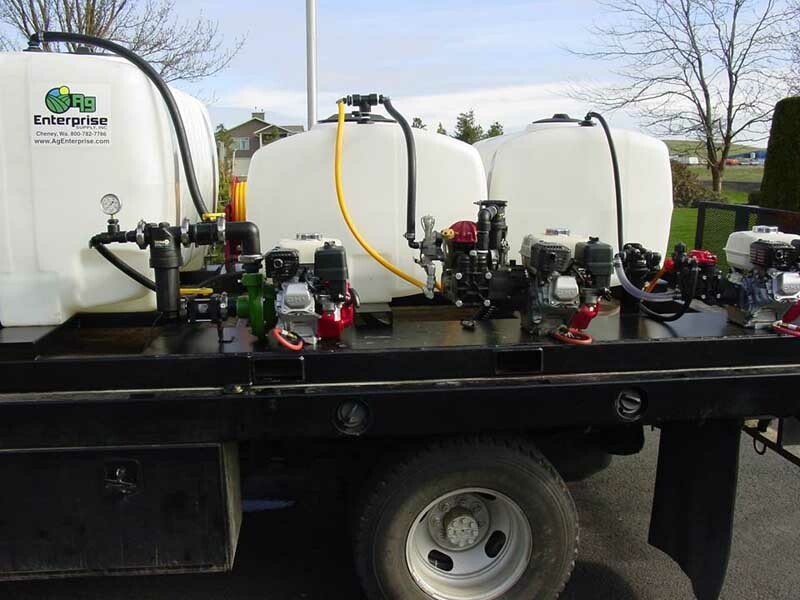 With a 300, 150, and 100 gallon tank for multiple products can be applied from the same unit. 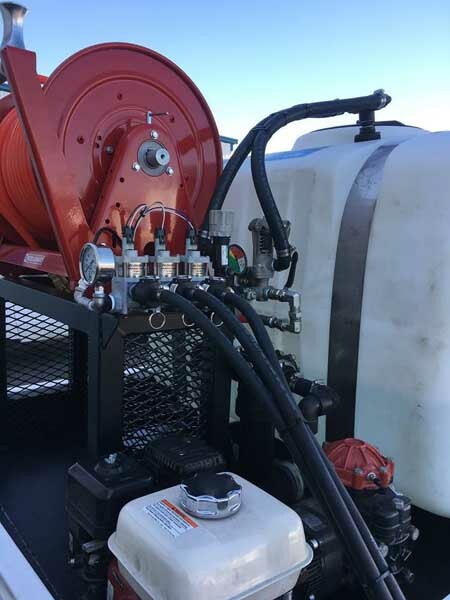 Two Hypro diaphragm pumps provide higher pressure from the different application guns and one centrifugal pump provides lower pressure/higher volume products. Three electric hose reels, two 300’ and one 200’ allow quick extension and retraction of the handguns. 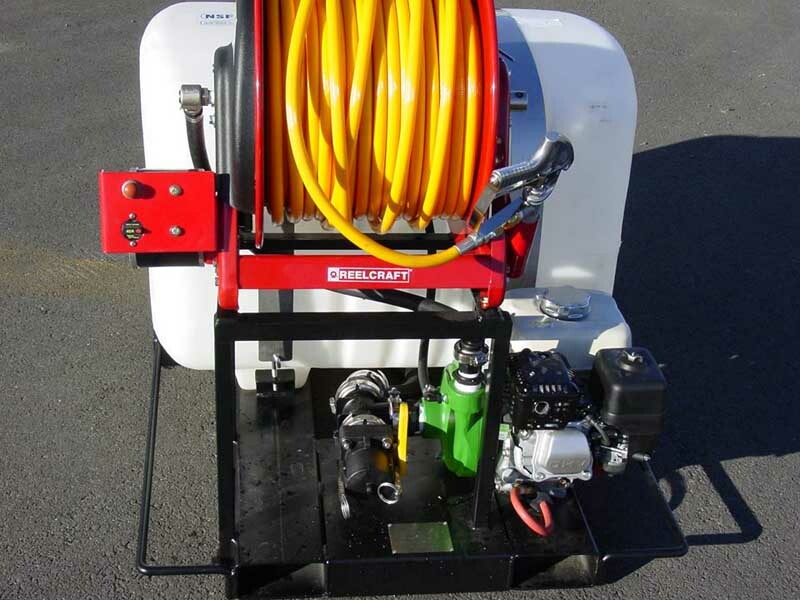 The wiring for the hose reels is run directly to the battery with a 6 gauge heavy duty battery wire and a 50 amp manual reset circuit breaker. All connections are weather proofed for longevity. 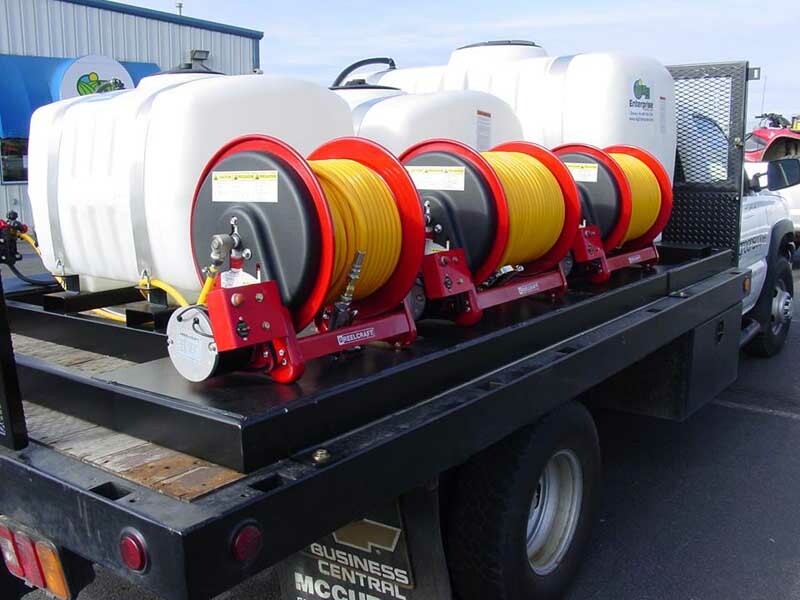 This sprayer is made for speed and efficiency and will deliver. 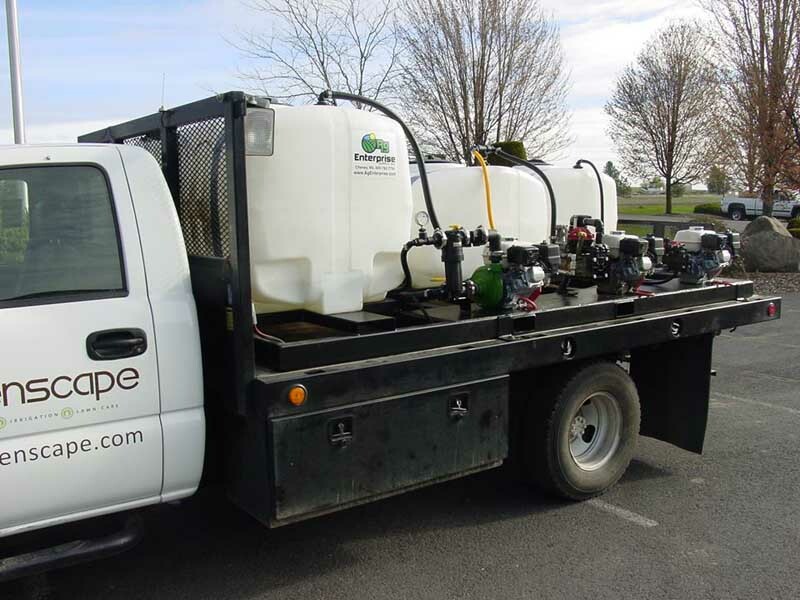 This is a new landscape sprayer that we just got done with. 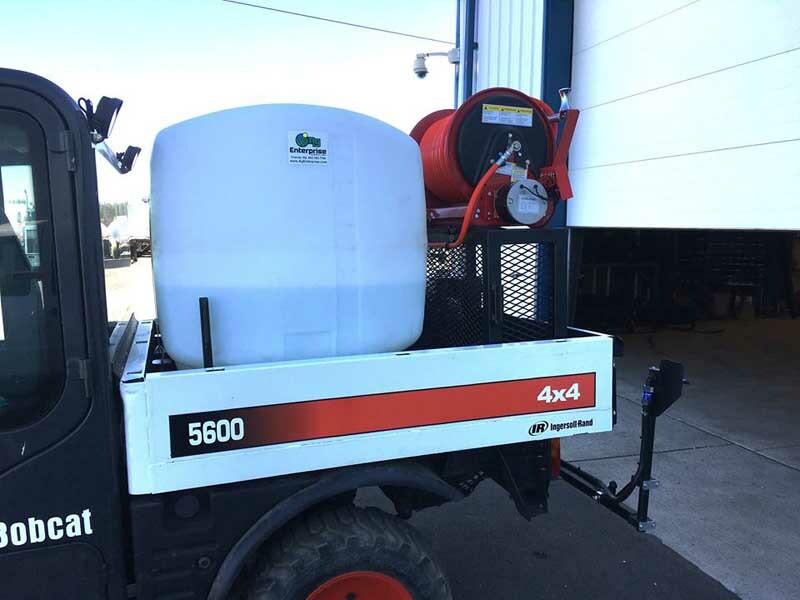 The customer came to us because his friend told him that we had built a sprayer for him and that we would do the best work and treat him right. 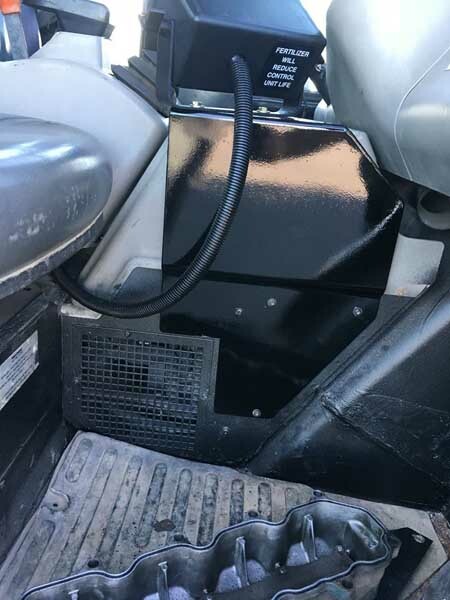 He requested a 200 gallon tank and provided his own Hypro D-30 and electric start Honda. 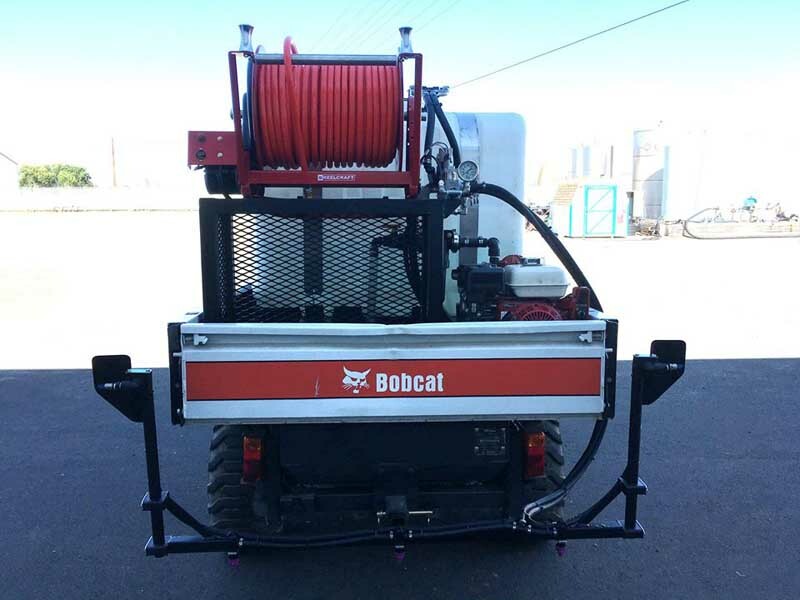 A custom bar was made to have the left and right Hypro boomless nozzles elevated and the center lane at 20” height. A 200’ Reelcraft electric hose reel was put on because no one wants to hand wind that much hose but will give good reach for doing hand gun work. 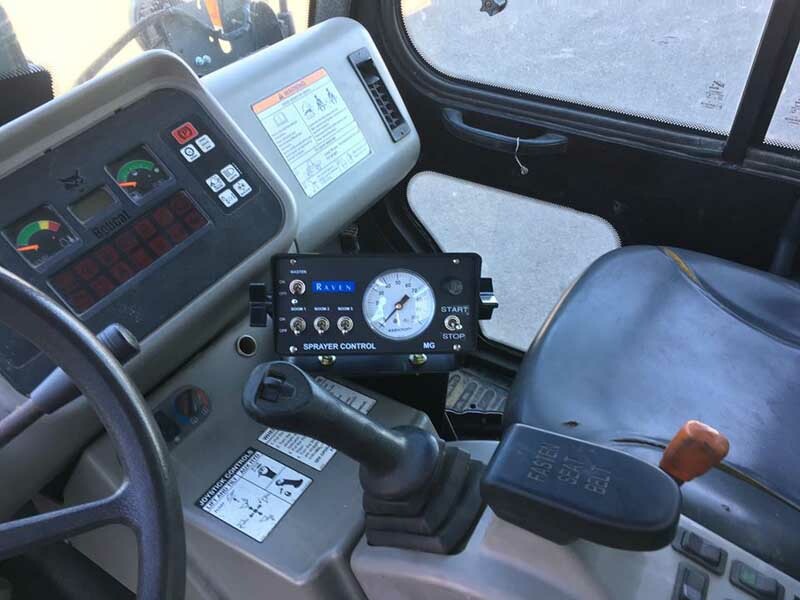 A Raven 203 console was installed on a custom bracket in the cab for total comfortable control. The customer requested some sort of storage for dry products so an expanded steel cage was incorporated to meet that request. 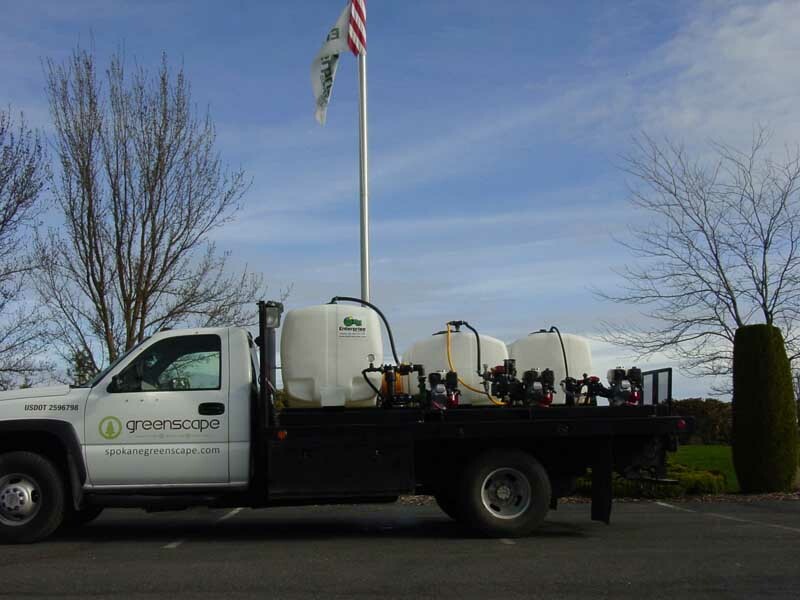 Everything that comes out of Ag Enterprise Supply, Inc. is built to last. All of the frame is fully welded square tube, any seams are filled with 3M seam sealant, all electrical connections are weather resistant, and all of our hardware is grade 8 plated. Come by with your ideas and see what we can do for you! 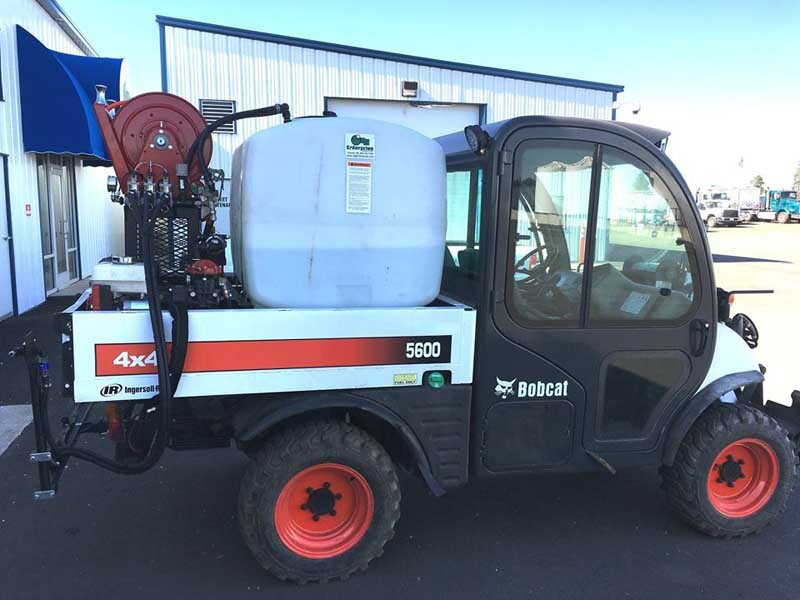 This is a simple spot sprayer from Ag Enterprise Supply, Inc. An Ace Rotomold 100 gallon tank holds the product and is moved with an Ace 660 pump and 5.5 HP Honda engine. Nothing fancy on this on just a 200’ hose reel and a Teejet 43 handgun. 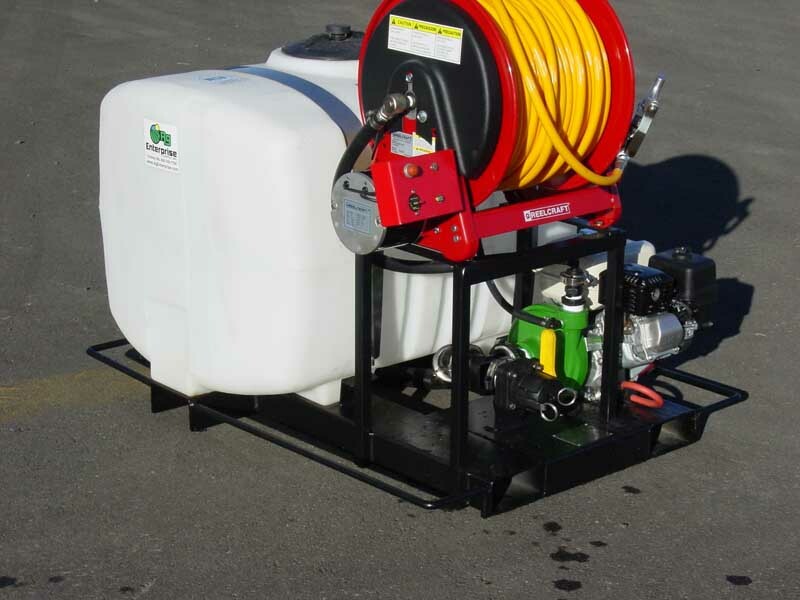 Mainly to be used for spot spraying but this pump is capable of delivering massive flow with a different hose and nozzle on it. Lightweight to be lifted into the back of a pickup with the integrated grab handles.